Relational work, experiential knowledge, reciprocity, co-responsibility and participation. These are the principles which RSW is deeply inspired by. 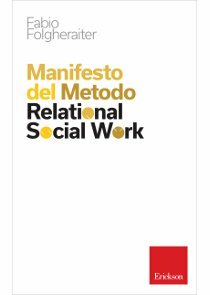 With the aim of stimulating epistemological reflection on the meaning of professional social work, Fabio Folgheraiter draws up a Manifesto of synthetic “axioms and corollaries”. The intent is not to crystallize the ideas and the logic but, on the contrary, to relaunch, in the ongoing crisis time of our welfare systems, a foundational debate around a different paradigm of “taking care”. Stretching from the guideline/facilitation technical skills to experiential ones; from institutional networks to direct relational aid; from the models of the welfare state to the logic of governance, this small book condenses useful suggestions for all readers interested in understanding how there can be social assistance systems in their community, open “to their meaning,” more human and more efficient at the same time.